Many Alliance Defending Freedom clients have become intimately acquainted with the concept of endurance. That’s especially true of our HHS mandate clients. You may recall the news last year that the Trump Administration announced new rules exempting religious and pro-life nonprofits from the HHS Mandate—not-so-affectionately known as the Obamacare Abortion-Pill Mandate. The mandate forces employers, regardless of their moral convictions, to provide their employees with abortion-inducing drugs, sterilization, and contraception under threat of heavy financial penalties. The rule change was a long time coming. For years, religious and pro-life employers that are committed to upholding the sanctity of life objected to the abortion-pill mandate. But the Obama Administration refused to respect the religious beliefs of these nonprofits. Instead, the Administration continued to pursue schemes that made the nonprofits complicit in actions that violate their faith, including hijacking their health plans. And no matter how many times the courts ruled on the side of religious and nonprofit organizations, the Obama Administration dug in its heels, all the way to the United States Supreme Court in some cases. 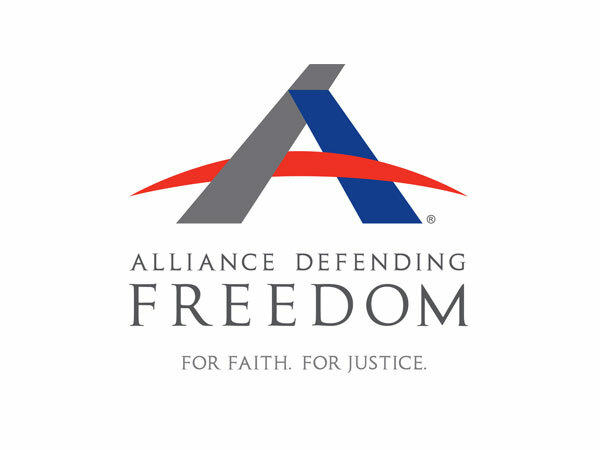 In 2016, Alliance Defending Freedom (ADF) represented five Christian universities, whose two cases were consolidated with five other similar cases to make up the Supreme Court case: Zubik v. Burwell. In May of that year, the Supreme Court unanimously vacated seven lower court rulings that sided with the government. Basically, the Court told the Obama Administration to work with the religious organizations to fashion a solution that doesn’t coerce religious nonprofits to violate their beliefs. This was a major victory for religious freedom. But if you thought the story ends there, think again. It wasn’t until the Trump Administration announced the previously mentioned new rules—more than a year later—that freedom seemed to be within reach. At that time, ADF was still representing 20 organizations and 12 individuals against the mandate. But that wasn’t the end of it either. Yes, court resolutions take time. However, they take even more time when activist state governments interfere. The very same day that HHS issued the new rule, the state of California—later joined by Delaware, Maryland, New York, and Virginia—filed a lawsuit challenging the rule change. And unfortunately, a federal judge issued a nationwide order that blocked the new rules. It apparently didn’t matter to these states that companies like Pepsi and Exxon Mobil were excluded from the mandate. Surely we all know the demand for birth control is much greater for the Little Sisters of the Poor and the March for Life than for a multinational company like Pepsi, right? So here we are, in the summer of 2018, two years after the Supreme Court victory in Zubik, and many more years since the 2012 announcement of the abortion-pill mandate, and we can finally say that many of these cases have reached a positive resolution. In May, a federal court ordered an end to enforcement of the abortion pill mandate for the four Oklahoma Christian universities that were involved in the Zubik case. At the beginning of June, the same positive resolution was achieved for a Christian college and seminary in Indiana and a Christian university in California. Then just last week, a federal court delivered a final victory for two more Christian universities: Dordt College of Iowa and Cornerstone University of Michigan. These are wonderful, hard-fought victories for freedom. And that brings us to the moral of this story: We can’t ever give up the fight. Reaching the Supreme Court, and especially getting an appointment before the justices is a big deal. But that doesn’t always mean that suddenly the world is all hunky dory. The Zubik case is one example of Alliance Defending Freedom clients who have experienced this truth. And there could be two more examples pretty soon depending on what the Supreme Court decides to do with Washington florist Barronelle Stutzman’s case or how it rules in the NIFLA case. Any day now, the Supreme Court will decide what to do with Barronelle’s case in light of the recent momentous victory for Colorado cake artist Jack Phillips. There is a chance the Court will send her case back down to the Washington Supreme Court, asking it to reconsider its ruling that the government can force Barronelle to create artistic expression and celebrate events that conflict with her faith. This would be great news for Barronelle (despite the fact that it would also extend her already five-year legal battle). The Supreme Court could also rule to remand part of the National Institute of Family and Life Advocates (NIFLA) v. Becerra case to the lower courts. The case involves the State of California forcing pro-life pregnancy centers to advertise for the abortion industry. During oral arguments for that case in March, at least one justice questioned whether a trial might be necessary in the case to provide more evidence. But no matter what happens with these two cases—or how long we have to wait for the rest of the abortion pill mandate cases to be resolved—we know that the threats will not stop. There is always more work to be done on behalf of religious freedom.